What did the Saint say to you? I wanted to visit him because I wanted to be an actor, but I had doubt within me... should I become one or should I not become one. I am very faithful and I was wondering if I would provoke by my work. When I went to see him, he told me the exact phrase: "I'm thinking of the Day of Judgment, when the Lord will judge each of us by our profession." 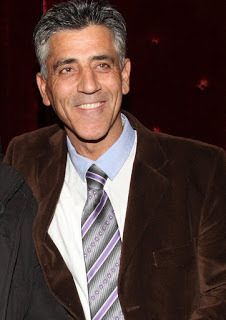 He was speaking to me allegorically, before I had the chance to speak to him and tell him I wanted to become an actor. Then he said: "The Lord will say, what job did you do in life? A Carpenter. Go to Paradise. You? An Actor. Go to Hell." At that moment I became upset, and he told me laughing: "Do my child whatever you want to do, as long as you always glorify God and praise Christ." God has his people everywhere, in all professions. This is what I do and will do as I am able and as long as I exist. I feared the unknown; I never feared death. 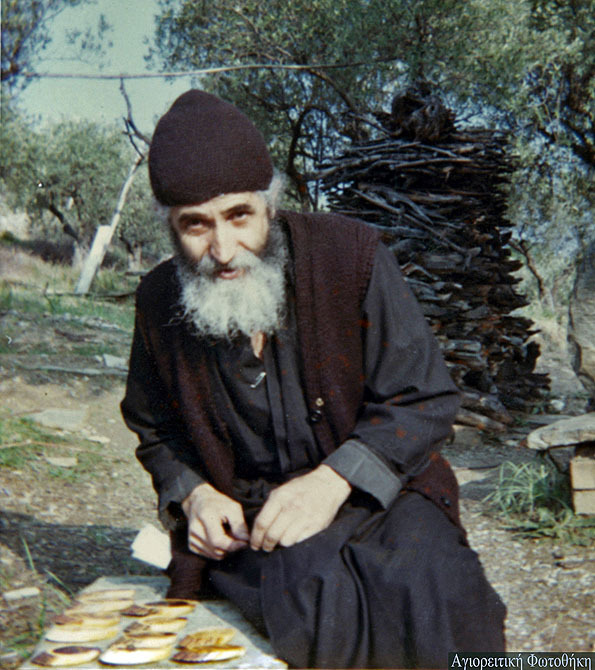 How did you acquire the cap of Saint Paisios? Going one day to visit my sister and to worship at the monastery where she lives, a nun, who has been there for years, and was a spiritual child of Saint Paisios, as soon as she saw me said: "Hold on so I can give you the cap of Saint Paisios." The Saint had told her: "To whoever it fits over the head, you will give it; to him it belongs." She had intermittently tried it on various people. As soon as I wore it, she said to me: "Take it, it's for you." I was shocked, and told her that I could not take such a relic, which was worn by a Saint of our Church. I have worn it many times and have given it to many people who have health problems to wear it for 5 to 10 minutes. I am very careful with it, and do not let the cap out of my hands. Do you keep it in a special place? Yes, in a special shrine, like in the monasteries, which is in my home, along with other things I have, such as myrrh from Jerusalem, from pilgrimages I have gone on in the past forty years. These things cannot just go anywhere, such as in the bedroom where I sleep with my wife. She has never come to see me at the theater. From the day she dedicated herself to her monastery. And I believe that this is the right thing. I miss her. I go and see her often, and I can tell you that I boast and brag about her. I would not be able to do it for anything. I go there for ten minutes and I want to leave. But I envy her for her spiritual serenity. For that spiritual calmness that all monastics have.